The highly unsophisticated Richard Dawkins, no doubt being shrill and middlebrow. For the lead fallacious argument employed by sophisticated theologians™, see our article on the courtier's reply. Sophisticated theology™, and related phrasings, is a neologism used to deride theological schools and arguments which seek to refute atheism based on the alleged "lacking sophistication" of atheist rhetoric. The term was originally coined by Christian critics of New Atheism, but was quickly adopted sarcastically by atheists. Believers claimed that atheists (specifically New Atheists, even more specifically Richard Dawkins) were only addressing "unsophisticated" arguments (implying they are straw man arguments) about the existence of God. Atheists, they argued, were ignoring the more "sophisticated" arguments relevant to the question. Of course, said objectors never produced examples of conclusive theological reasoning to support their complaints; while they sometimes pointed to the work of such theologians as Alvin Plantinga as an example of solid theological reasoning, those figures turn out to not have answered the question either. Technically what the New Atheists are asking for in terms of arguments is philosophy (specifically philosophy of religion) rather than theology itself, though this distinction is somewhat arbitrary. Jerry Coyne later claimed credit for the coinage. In his 2006 bestseller The God Delusion, Richard Dawkins argued that the existence of God is so vastly improbable a hypothesis that it should simply be dismissed. He also covered some philosophy of religion and apologetics. Quite a few critics, both believers and non-believers, criticised Dawkins' work, arguing that Dawkins did not know or understand theology very well. Critics claimed that, due to this unfamiliarity with the subject, Dawkins had created a straw man of what theology actually says about God and God's existence. Two key examples were literary critic (and theist) Terry Eagleton's review in the London Review of Books, and biologist (and atheist) H. Allen Orr's review in The New York Review Of Books. This sort of response precisely evades the substance of Dawkins' argument. Would there be any particular point in reading Rahner or Eriugena? Neither has addressed the strength of God as a hypothesis; Eagleton's review doesn't tell us how Rahner on grace or Moltmann on hope are relevant to Dawkins's argument. This seems to be both argument from authority (name-dropping these somewhat esoteric thinkers) and an ad hominem suggestion that Dawkins is closed-minded and insufficiently well read. 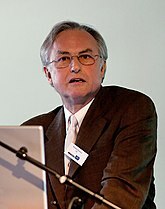 In his preface to the 2007 paperback edition of The God Delusion, Dawkins stated he would gladly have addressed these theological works, even if it affected the book's readability and popularity, if he thought for a moment that they would shed any light on his central question of God as a hypothesis. Of course it’s middlebrow! It was intended as a popular-level book published by a mainstream outfit that people are actually intended to read. Dawkins frequently refers people to other books that give more detailed coverage of the topics he was discussing. PZ Myers, also commenting on Orr's review, coined the term "Courtier's Reply" (a reference to the Hans Christian Anderson story, "The Emperor's New Clothes") to describe arguments which focus on an opponent's ignorance of a topic, rather than focusing on what the opponent actually says or writes. Some Christians, responding to The God Delusion and other New Atheist books, used the phrase "sophisticated theology" in reference to things they expected authors would need to study and understand before those authors could make valid criticisms of religion. Atheists then picked up on the phrase and started using it sarcastically, and the phrase became increasingly common in the atheist blogosphere. [Haught] lost the debate; his ideas were exposed for the mindless theological fluff that they were; and I used his words against him, showing that even "sophisticated" theology, when examined under the microscope of reason, is just a bunch of made-up stuff, tales told by idiots, full of sound and fury, signifying nothing. And yet when I read him, I realize again that "sophisticated theology" is but a thin veneer of fine words applied over the rickety plywood of unevidenced faith. Some commentators have explored similar issues without using the phrase sophisticated theology™. Singularitarian and atheist blogger Luke Muehlhauser covered the subject in a blog addressing the Courtier's Reply and the related argument which he calls the "not my theology" reply. The word "sophisticated" is not used in this sense by anyone else — there is no proper subclass of theology called "sophisticated theology". Dawkins speaks in The God Delusion of "sophisticated theologians", meaning: those who had read the Bible and put in the effort to make sense of it. Separately, the phrase "sophisticated theology" is also a phrase used by critics for the work of theologians and philosophers of religion such as Barth, Tillich, Hauerwas, Vanhoozer, Rahner, Hans Urs von Balthasar, Moltmann, Niebuhr, etc., and for alternative theologies such as feminist, liberationist, postmodern, queer, etc. ↑ 2.0 2.1 Terry Eagleton, "Lunging, Flailing, Mispunching", London Review of Books, 19 October 2006. ↑ 3.0 3.1 H. Allen Orr "A Mission to Convert", The New York Review Of Books, 11 January 2007. ↑ Alvin Plantinga, "The Dawkins Confusion: Naturalism ad absurdum" — originally found on Christianity Today, reposted to the Richard Dawkins Foundation website, 1 March 2007. ↑ Michael Ruse, "Why I Think the New Atheists are a Bloody Disaster", "Science and the Sacred" at beliefnet.com, 14 August 200. ↑ Michael Ruse, "New Atheism: A Disaster Comparable to the Tea Party", March 20, 2011. ↑ William Lane Craig on Hawking and Mlodinow’s Grand Design on Craig's Reasonable Faith website. For a response, see for instance Reality 2, William Lane Craig 0: Craig's criticisms of "The Grand Design" from The A-Unicornist website. ↑ Jason Rosenhouse, "Orr on Dawkins", ScienceBlogs, December 22, 2006. ↑ e.g., Letter to the editor published in Third Way March, 2007 in response to a review of TGD. Writer is a Christian, calls Dawkins a fundamentalist and calls for a "more sophisticated theology" unironically. ↑ PZ Myers, "Sophisticated theological arguments are unanswerable", Pharyngula, 4 September, 2007. ↑ Jerry Coyne, "Theologian John Haught refuses to release video of our debate", Why Evolution Is True, 1 November 2011. ↑ Jerry Coyne, "Alvin Plantinga: sophisticated theologian? ", Why Evolution Is True, 30 December 2011. ↑ Luke Muehlhauser, "The Courtier’s Reply, the Not My Theology Reply, and Straw Men", Common Sense Atheism, January 6, 2010. This page was last modified on 30 January 2018, at 16:33.